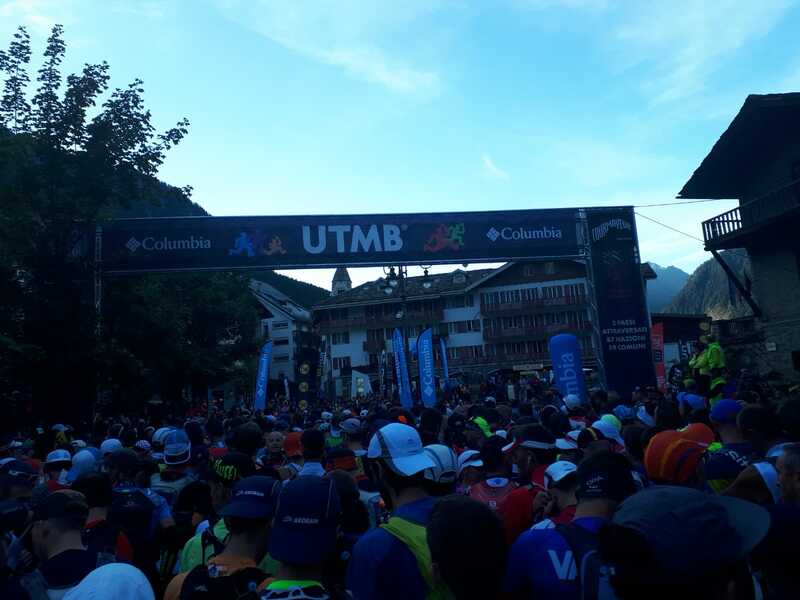 On Saturday 7th September I ran the 86km Ultra Trail du Vercors – with 4000m of elevation, and some stunning scenery it was my longest run to date. I’m pleased to say I completed the course (280 out of 610 starters abandoned the race) in just over 16 hours. This was the second time I’d attempted the event, the first time was in 2011 during the inaugural running of this event. 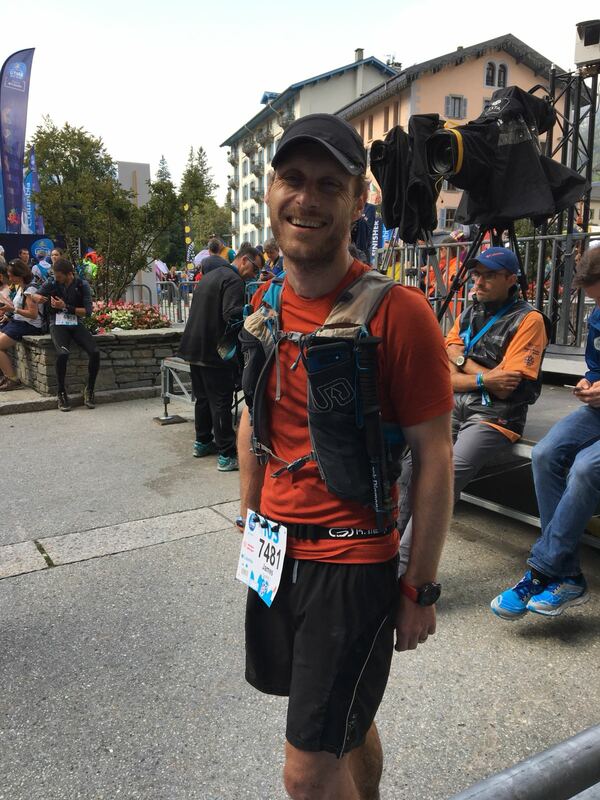 Being my first ultra marathon it proved to be a real eye opener – I DNF’d after 60km – the heat, the mountains and inexperience on fueling all contributed to that failure, so I vowed to return to what was a well run event with a few thousand more KMs in my legs and whole load of extra experience. The course is a loop around the Vercors mountains. 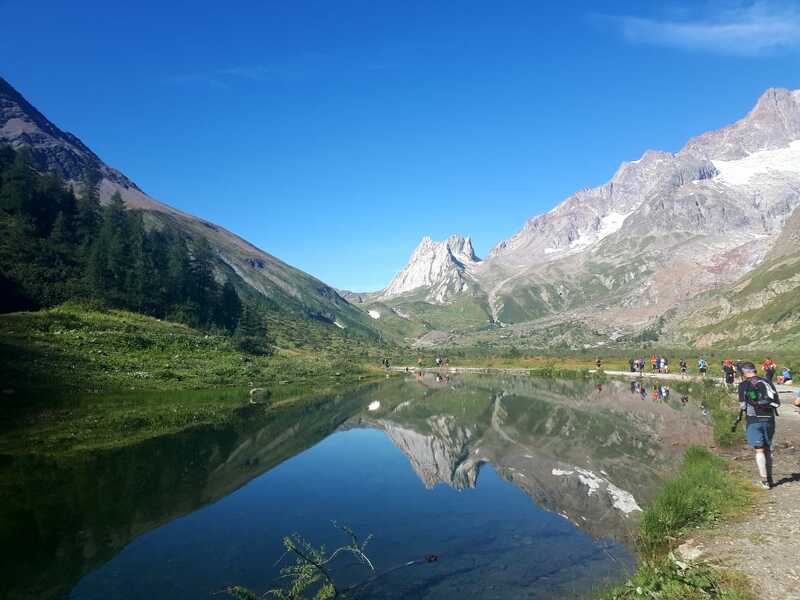 It takes in four of the major villages, Villard-de-Lans, Lans-en-Vercors, Correncon and Meaudre. Each one of these villages constitutes a major check point roughly every 20km apart. 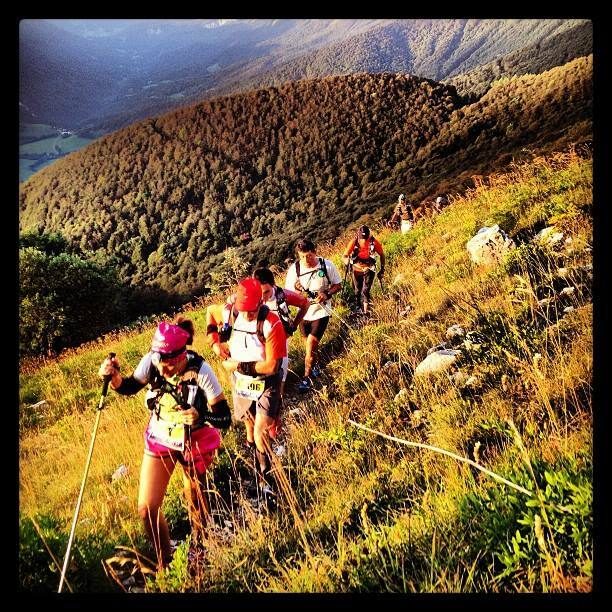 Each year the race starts in a different village, and alternates between a clockwise and a counter-clockwise loop. 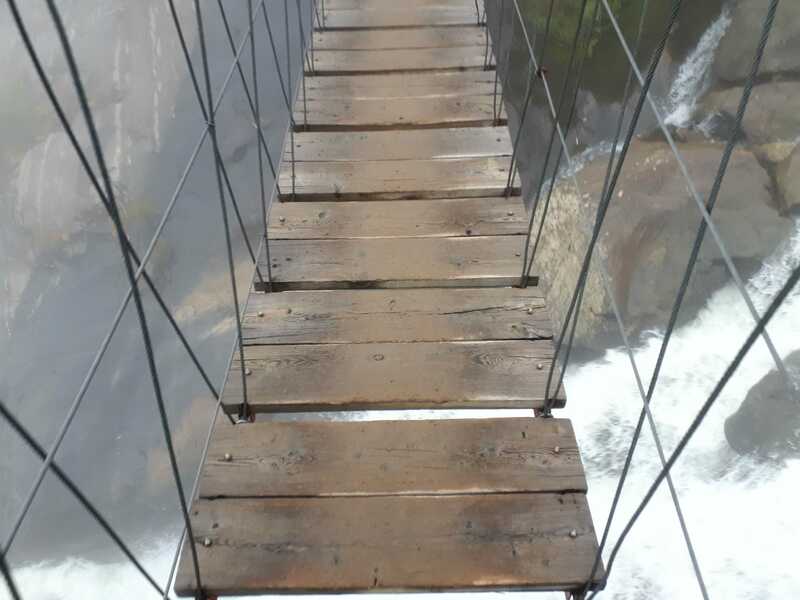 This ensures that even if you’ve run it before, the course can throw up something new each time. With over 4000m of vertical gain, this definitely counts as ‘hilly’. There’s also a relay option for teams of 2 or 4, with each person running a quarter or a half of the race respectively. 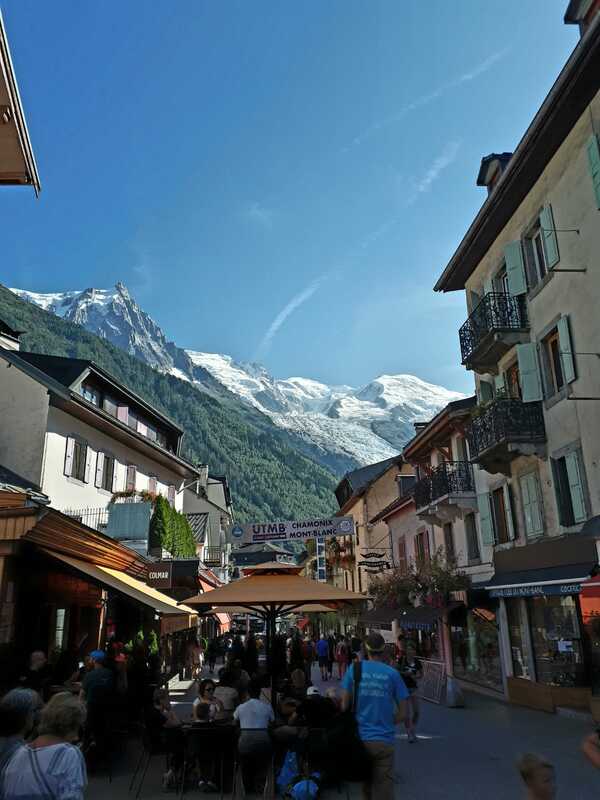 This year the race started in Villard-de-Lans, so we drove up on Friday night with our dog Eric, checked into the B&B and went to the race briefing to pick up my goodie bag (buff, t-shirt etc) and then back for an early night. 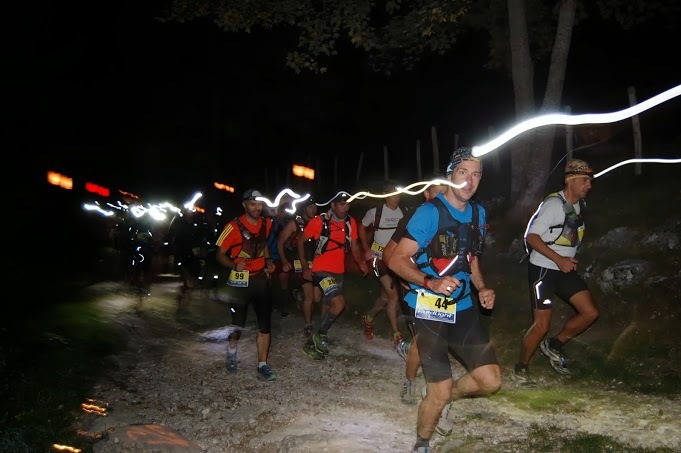 The race starts at 5am so the first hour is pretty much run in the dark – and a significant proportion of people are expected to finish in the dark too so naturally a head torch is obligatory. 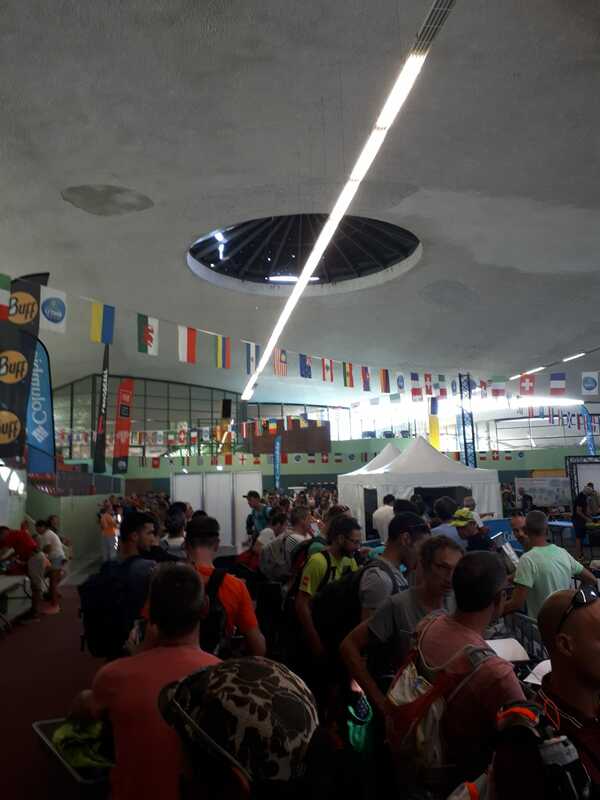 Arriving at the race briefing I had a flashback to the head torch sitting back at home on the kitchen table – forgotten, and 2 hours drive away. I desperately ran around the village looking for a shop that hadn’t yet closed and managed to find one that sold a head torch. Unfortunately it was the most feeble beam you could ever imagine and I’d have had better luck with my iPhone, but at least I could pass kit check. 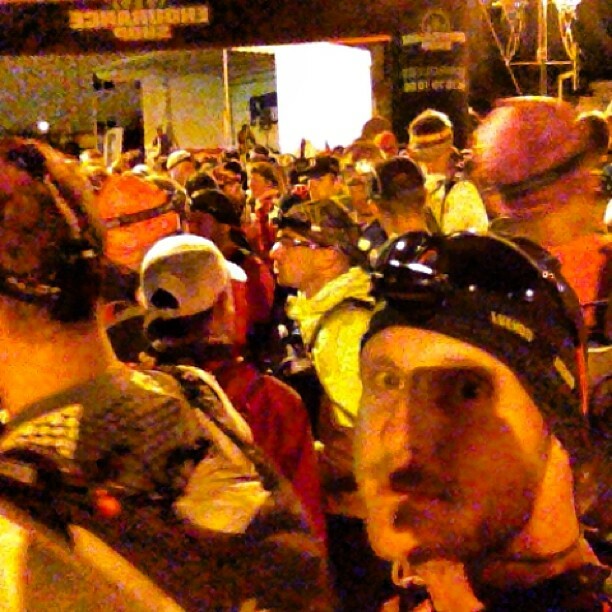 For a 5am start there was quite a decent sized crowd to cheer us off, and even up into the first climb people were lining the paths – it felt good to be off after months of training, then the stress of tapering down and trying to avoid injury. 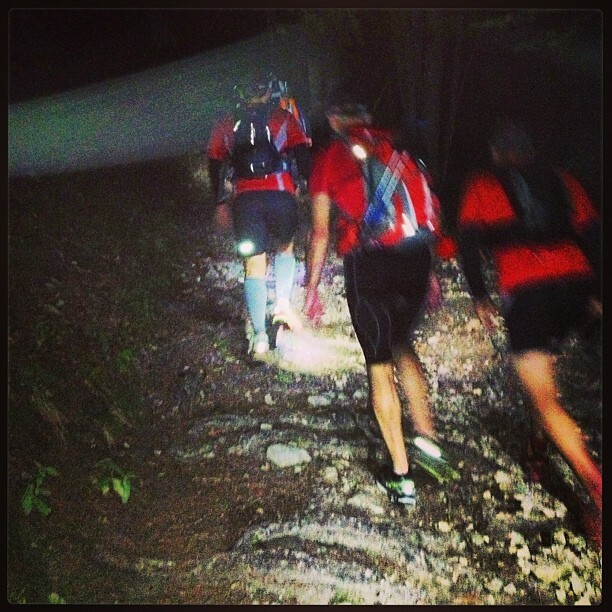 Early start in the dark, the first climb lit only with headlamps. After an hour of climbing 700m in the dark, with a sea of clouds in the valley below us, we reached the ridge of the Vercors and crossed over onto the other side, to be greated with an amazing sunrise. Looking to the south I could see the familiar peaks of the La Jarjatte valley where I live, cast into an unreal glow of dawn light. There wasn’t time to admire the view though, because the trail flattened out and headed south along a great trail of single track. 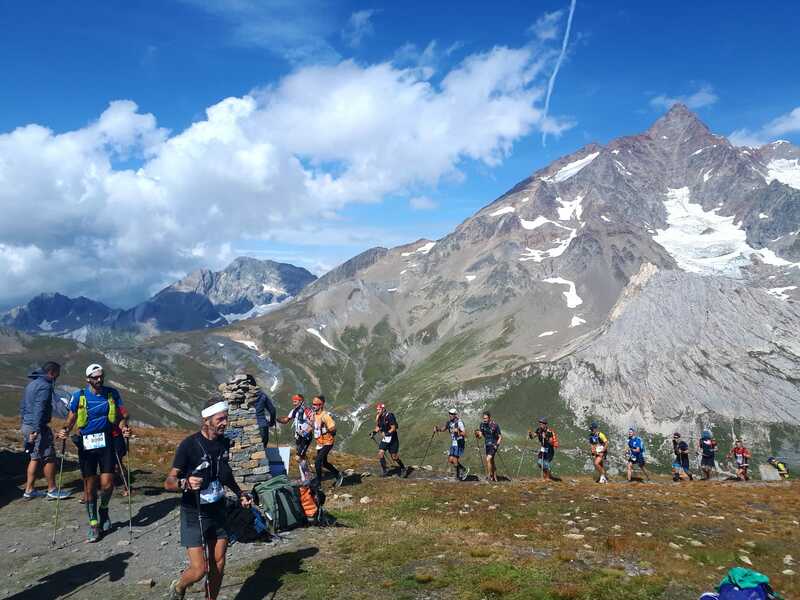 Another 90 minutes of running and we headed back up over the ridge and started the descent into the first major checkpoint at Correncon. 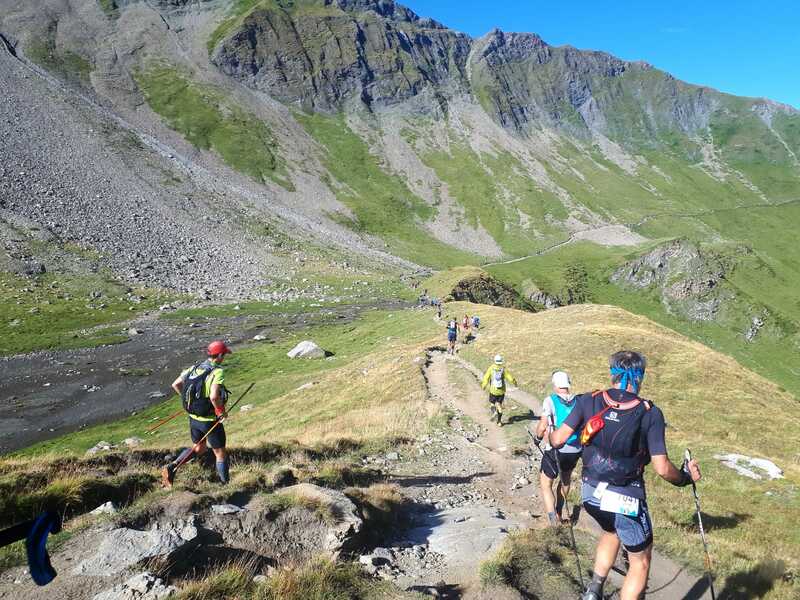 From then on, the gradient got a little easier, running in more open country and through fields before reaching Meaudre, nicknamed merde by myself after being the location of my DNF two years ago (but it really is a beautiful village and worth a visit). 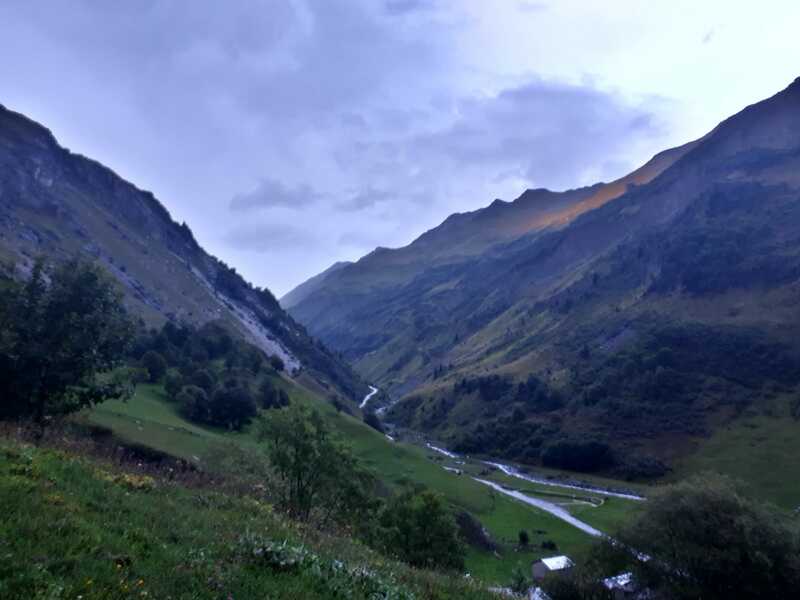 Starting a new section, heading out of the aid station in Correncon back in the valley below. This time I was in a much better state, and meeting up with Amy and our dog Eric, I was still in good spirits having just run marathon distance, but still feeling pretty good. 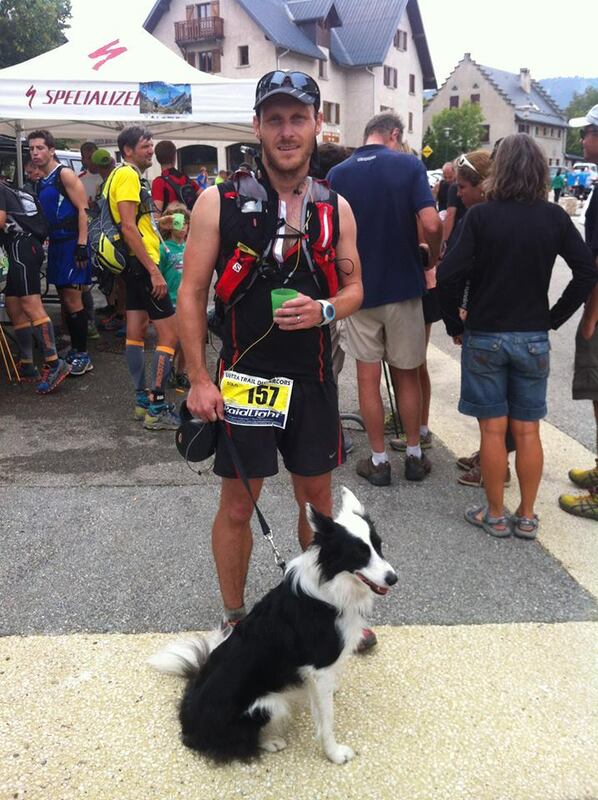 At the halfway point in Meudre – Eric had come along for some moral support and was disappointed not to be running with me. By now my Garmin was dead, and after having used Amy’s up to I had to run the 3rd section with no pace or time data. I found this oddly disconcerting. 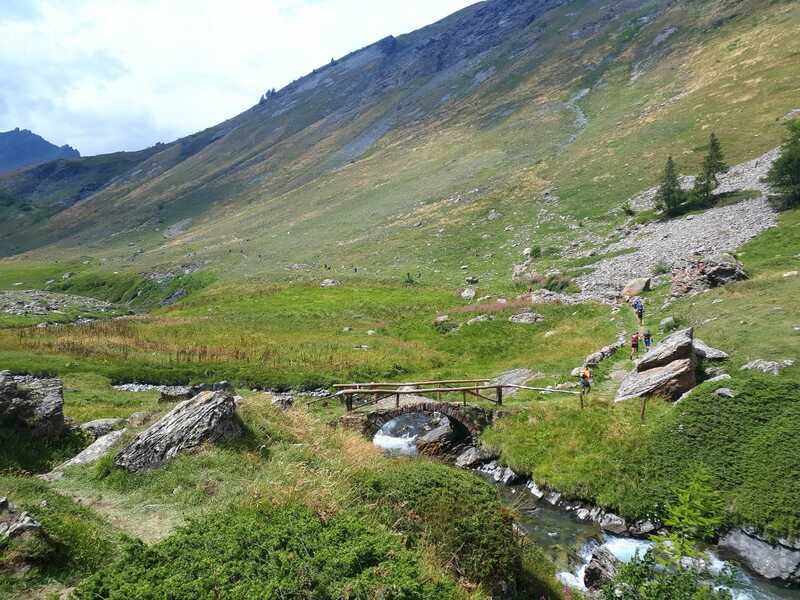 This section was where it really started to bite – moving as it did through the hottest part of the day and with some seriously steep sections – including running along the side of the ski jump in Autrans, site of the 1968 Winter Olympics hosted by nearby Grenoble. I was starting to despise my food, and also trying to balance drinking enough to keep cool, but not over-hydrate. After meeting up with Amy again in St-Nizier, and being re-equipped with a recharged Garmin the race climbed back up to the eastern ridge of the Vercors to an amazing viewpoint looking out over Grenoble. 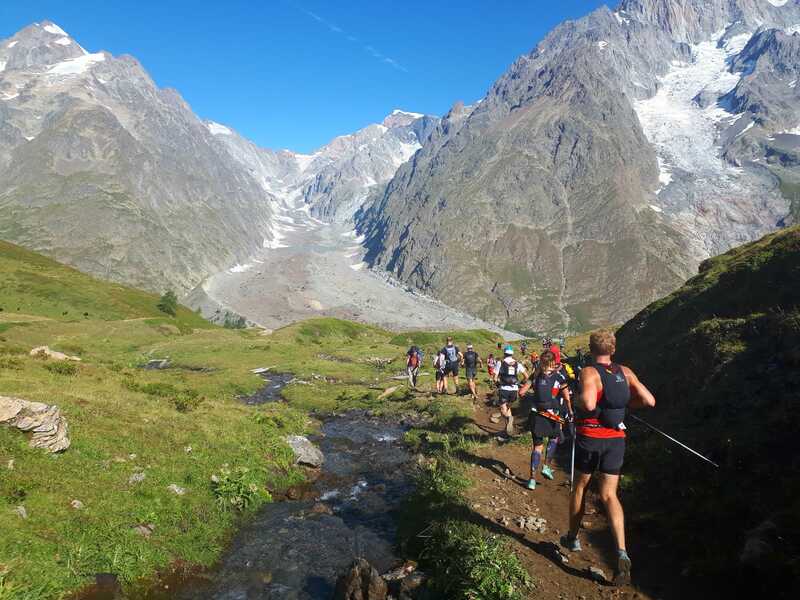 When I first ran this race, this was our view at dawn and it looked amazing, being able to see all the way up the valley to Mont Blanc, nearly 100 miles away. 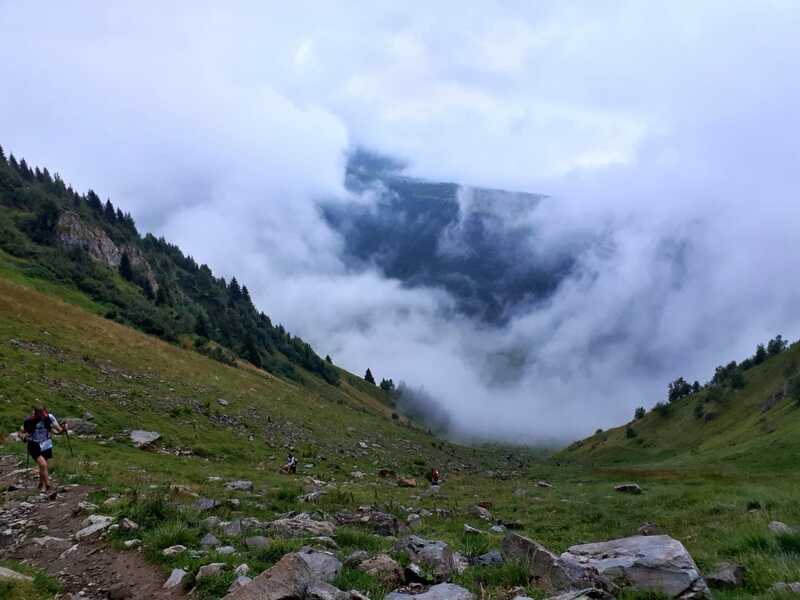 Unfortunately this time the city and the surrounding mountains were shrouded in mid-afternoon haze, and I was keen to get moving, so continued along the trail towards the third stage village, Lans-en-Vercors. By the time I got to Lans, it was early evening and getting cool. 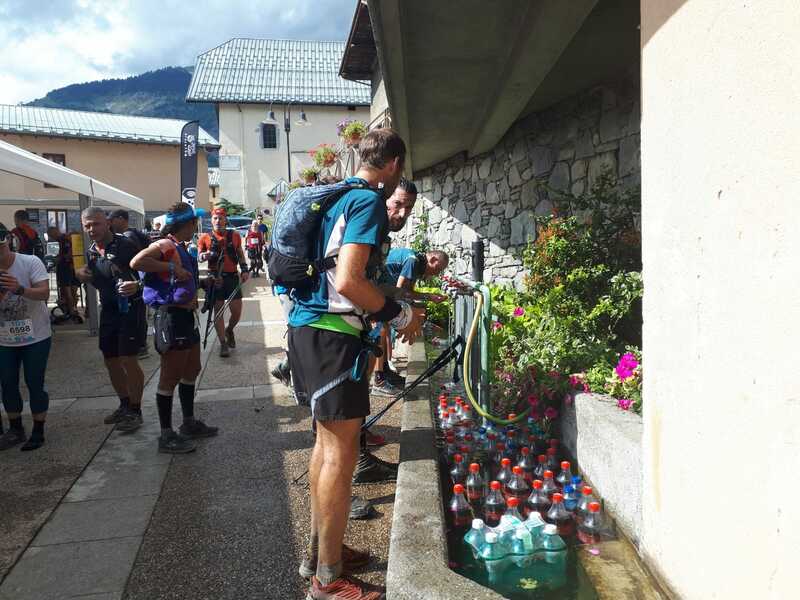 Hot soup was served at the checkpoint and I slurped some down – I was sick of everything I was carrying myself by that point. 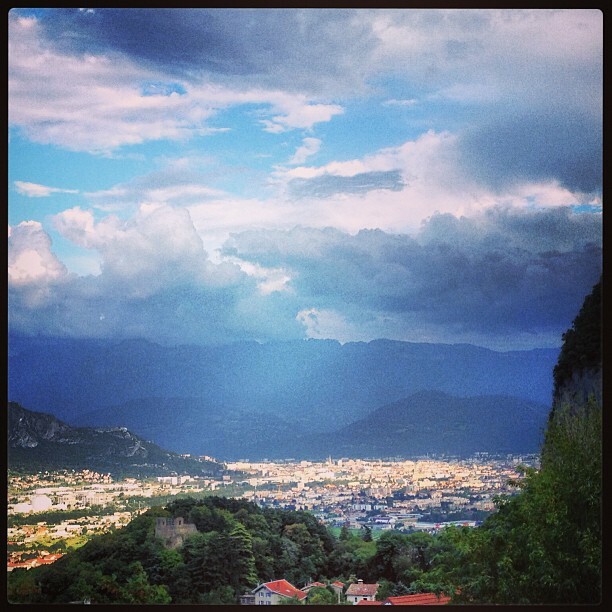 Some drops of rain were starting to fall and the clouds were looking increasingly threatening as a storm approached. 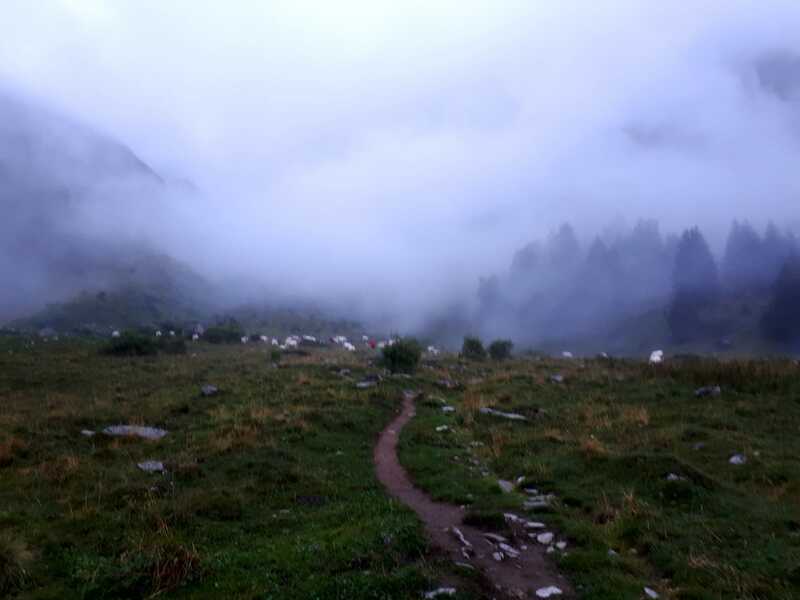 It probably wasn’t the best time to be climbing up to another high ridgeline if lightning was imminent so it was an added incentive to keep the pace up. 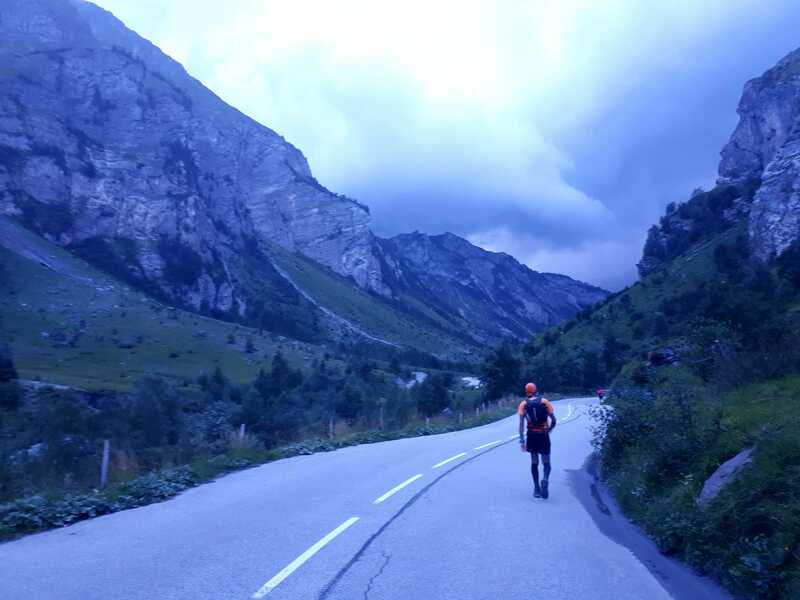 Well, it got dark and the heavens opened and I eventually made it into Villard-de-Lans in the middle of a torrential downpour – cold, wet and exhausted but extremely happy to have completed an event that claimed a 30% abandon rate with a time of 16h03’19”. You can see the full results here. 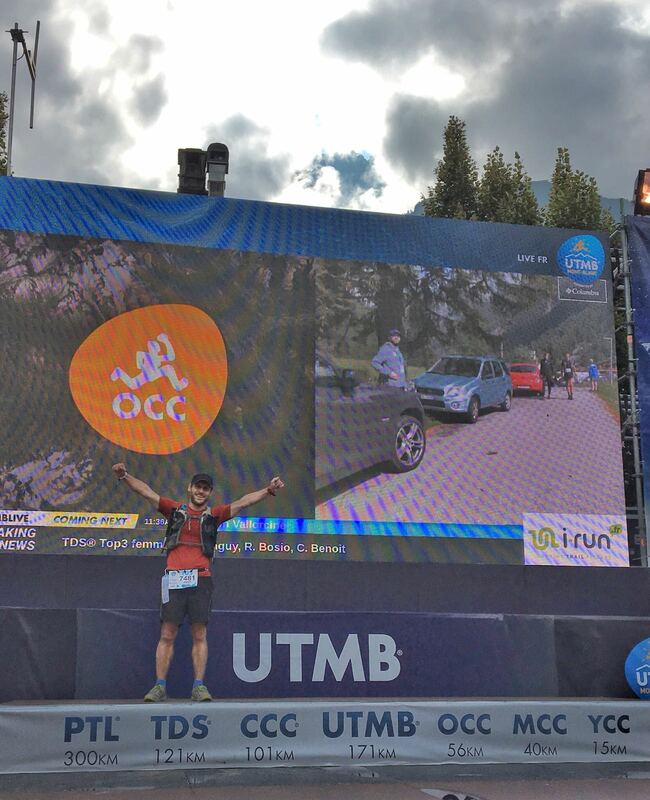 Although the UTV is a low key event by the standards of some of the larger French ultra marathons, in just the two years since my first attempt they have been making great strides to improve the already excellent organisation – but at the same time they haven’t lost any of the atmosphere that attracted me back. 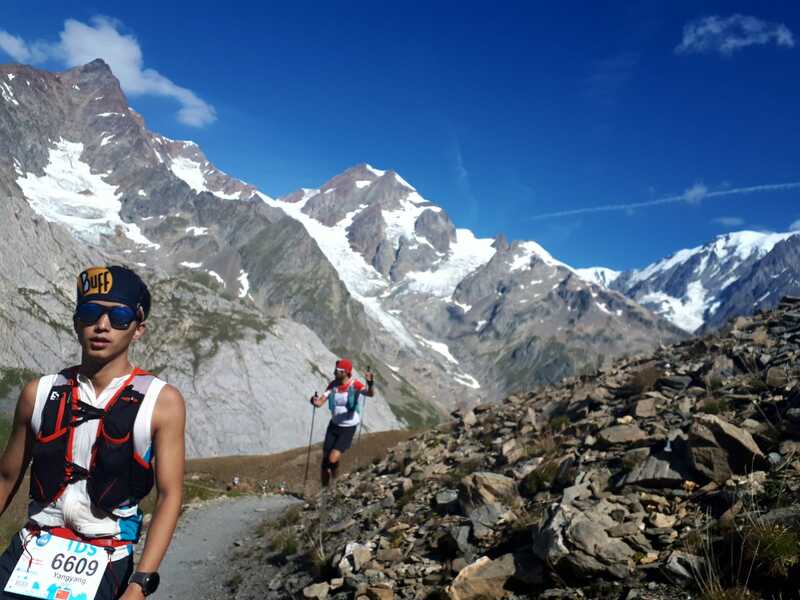 Running with the middle of the pack, I never found myself short of somebody to talk to, and the scenery is nothing shorts of stunning. The race marshals and volunteers at the aid stations did and excellent job, and there’s plenty of hikers out on the trail to give support. I definitely plan to be back.